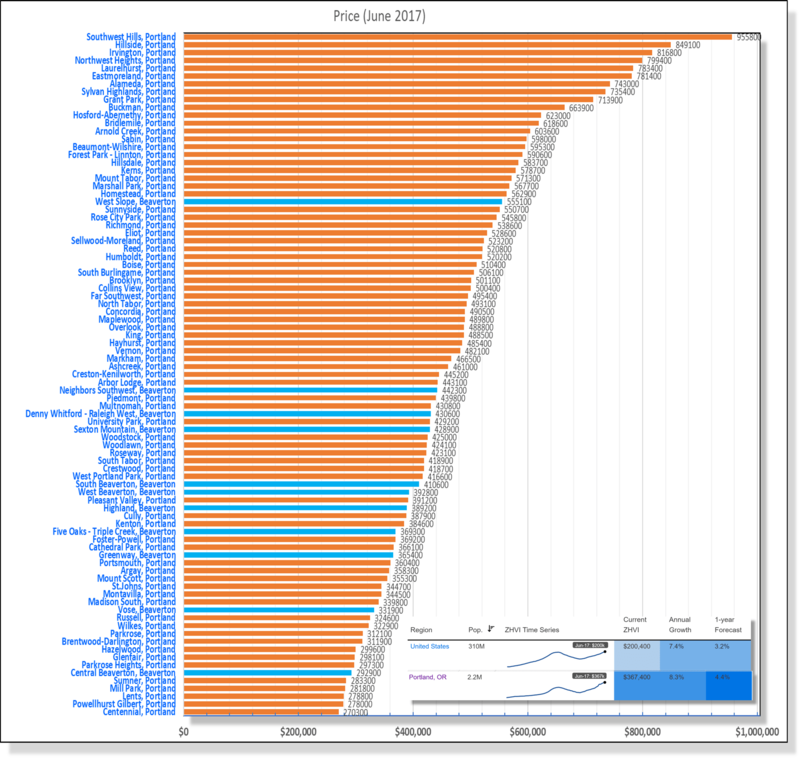 Portland house prices by neighborhoods, June 2017. Median price for Portland Metro is $367,400. The two most expensive areas are near the tunnel on Hwy 26.